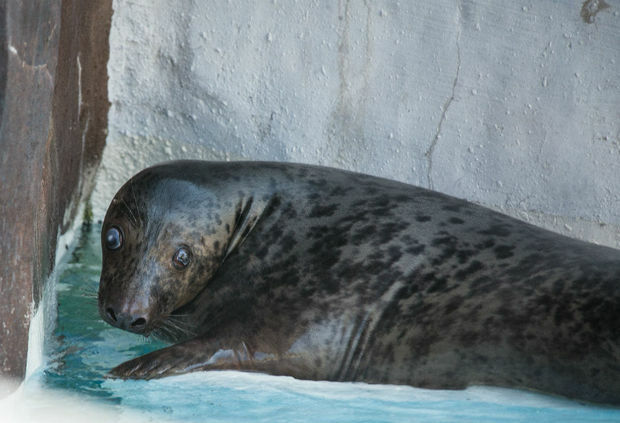 ROYAL OAK, Mich. – Things are looking a little less grey for a seal that has arrived from the Marine Animal Rehabilitation Center at the University of New England to her new, permanent home at the Detroit Zoo’s Arctic Ring of Life. The female grey seal pup – estimated to be less than a year old – was found stranded on the coast of Georgetown, Maine, by Marine Mammals of Maine. She was deemed non-releasable to the wild by NOAA (National Oceanic and Atmospheric Administration) due to severely compromised eyesight. The seal has been named Georgie after the Maine coastal city where she was found. Weighing only 87 pounds at the time of her arrival in June, Georgie is thriving under the Zoo’s care and now weighs about 140 pounds. She joins grey seal Kiinaq, harp seal Pequot and harbor seals Sidney and Freita, all of which were rescued. Georgie’s rescue was the first supported by the newly established Kalter/Lezotte Fund for Wildlife Rescue to facilitate the rescue of animals with the intent to provide sanctuary at the Detroit Zoo. To contribute to the fund, make a check payable to Detroit Zoological Society and send it to Fund for Wildlife Rescue, 8450 W. 10 Mile Road, Royal Oak, MI 48067, or call (248) 336-5704. 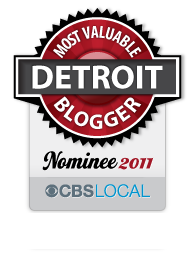 This entry was posted in Detroit and tagged animla, arctic, detroit, donate, Michigan, nonprofit, ring of life, Royal Oak, seal, water, zoo. Bookmark the permalink.